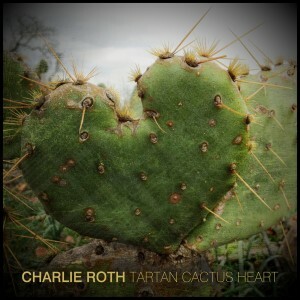 Charlie Roth's 7th solo album is a collection of 12 new tracks. Once again he takes us with him on the journey! from the desert hill country of Texas to the heather clad glens of bonny Scotland. There is a song of his home on the plains, a waltz across love, and a reflection on social change, some barstool ballads about thinkin’, drinkin’, and cheatin’. Charlie delivers stories as always plain and simple, inspired songs, inspiring playing, and inspirational singing. There are two covers, one of which is 'The Ully Mill Song' from the late great New York City songwriter Jack Hardy whom Charlie met and befriended in Texas at the Kerrville Folk Festival. "Jack is a legend and a hero to many including me and even though he also wrote cowboy songs he could write a song you would swear was written three hundred years ago in Ireland.'" says Charlie "He also co-wrote another track on the record called 'Holy Mother of God' with me but refused to take any credit." The other is a beautiful waltz 'In My Eyes' written another recently departed well respected songwriter Tim Henderson who Charlie met at a club he was working in Austin. "Tim heard me singing and gave me five of his CDs, it was pretty obvious he wanted me to cover one of his tunes. I found that waltz and it just leveled me. It is exactly what a woman wants to hear from a man. When I heard he passed away I knew that was a sad day in Austin Texas and if that song isn't a hit record I don't know a damn thing about what is."